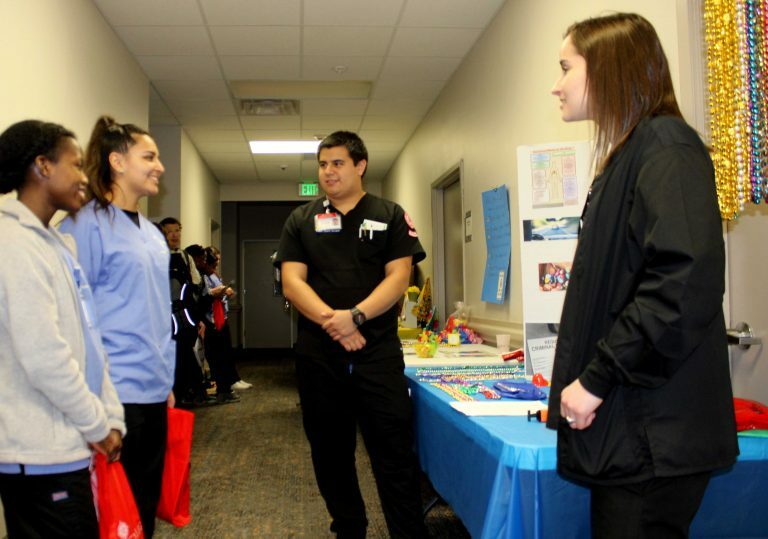 Sterling High School juniors Yasmeen Washington and Krislynn Salazar learn about the negative effects of marijuana from Lee College nursing students Leonel Aramburo Jr. and Ashlyn Scheller. 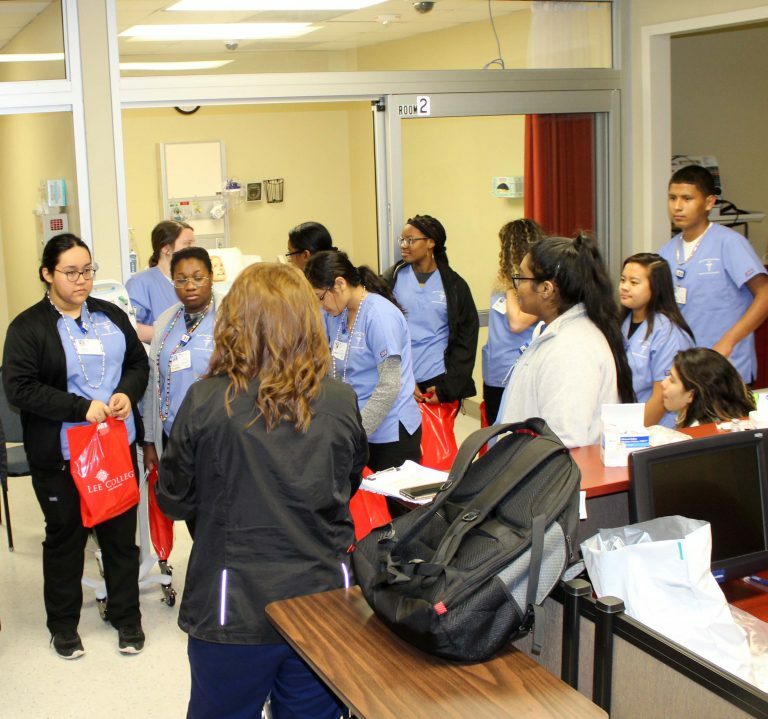 Lee College nursing students polished their one-on-one teaching skills recently as they shared their knowledge with students from the Ross S. Sterling High School Health Science Academy. The learning for the day went beyond just the information high school students gained about the specific topics being addressed. Sterling High School students share the experience of child delivery in the Lee College simulation lab. The high school students in the Health Science Academy are those who want to pursue health-related careers — some plan to become nurses and others want to be doctors or enter one of the many other professions in the growing career field. For them, it was a chance to see the next step in their own education, whether they attend Lee College or another college or university. For the Lee College students, it was a chance to practice the kind of teaching skills that nurses experience in their work. “In nursing we do a lot of teaching,” Rogers said. “They had to develop a pre-test and a post-test. They have to evaluate their own learning. Sterling High School teacher Paula Schmidt (back to camera) shows some of her students the simulation lab in the Lee College nursing building, where full-size, equipped hospital rooms containing lifelike mannequins give students the opportunity to practice their skills in a realistic environment. In fact, the teacher who was with the Sterling High School students gained some of her teaching skills right at Lee College. Paula Schmidt, an instructor in the Health Science Academy, came through the Lee College nursing program before going on to get her bachelor’s degree. She has also taught at the college. 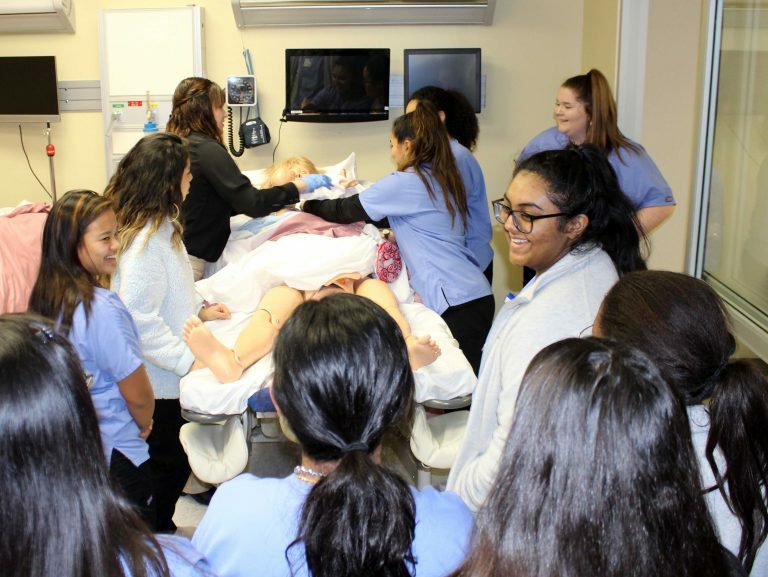 In addition to the interactive education displays, the high school students also got a tour of some of the Lee College simulation rooms — full-scale hospital rooms where students can practice their skills on mannequins especially designed for teaching medical treatments. 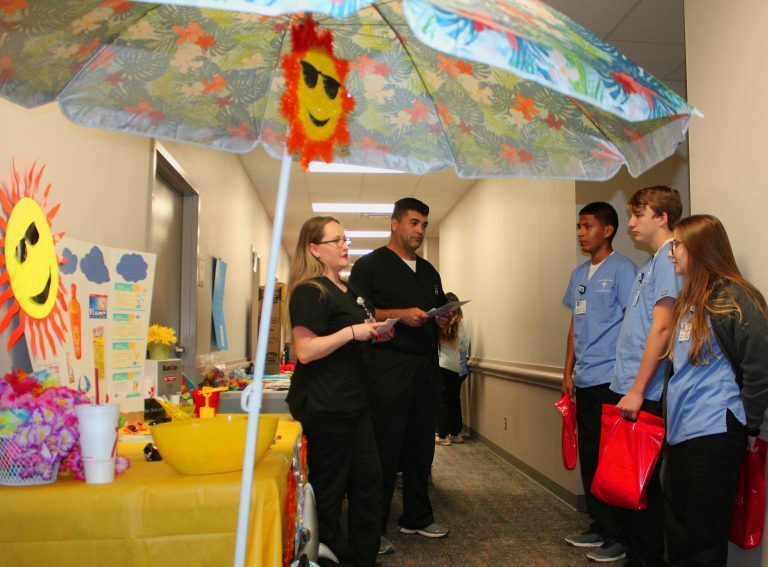 Lee College nursing students Jennifer Hernandez and Mike Garza share sun safety information with Sterling High School juniors Jose Marquez, Canaan Hanson and Carol Davis. As a particular highlight, a few of the students delivered a “baby,” in the maternity simulation room as the others watched the process. Even though both mother and child were plastic simulations, the students were then able to critique the delivery and learn more than a textbook or video could provide. Achieving the Dream announced that Lee College has earned Leader College of Distinction status for achieving higher student outcomes and narrowing equity gaps. ATD created the Leader College of Distinction award in 2018. Leader College of Distinction showed improvement on three student outcome metrics, including at least one lagging indicator such as completion. In addition, they showed narrower performance discrepancies in at least two metrics between disaggregated groups, such as gender, race/ethnicity, or socioeconomic status. The metrics are: (a) completion of gateway math and/or English in Year 1, (b) persistence from Year 1 to Year 2 (fall-to-fall retention), (c) courses attempted/completed with a C- or higher grade within one year of initial enrollment; (d) completion of a certificate or degree within four years of initial enrollment; and ( e ) transfer to a four-year institution and achievement of a baccalaureate degree within six years of initial enrollment. Leader Colleges of Distinction will have their own identity as part of the ATD Network, including a new logo. Leader Colleges of Distinction also will receive priority to participate in ATD’s innovation initiatives. They will be asked to present and facilitate more sessions at ATD events and institutes and asked to serve as mentor colleges. Former Lee College students and Mendoza Debate Society alumni Kyle Diamond and Josh Lyrock have accepted professional positions as Legislative Analysts for Texas State Representative Mayes Middleton (HD23). Diamond and Lyrock, pictured here at the start of the 86th Texas Legislative Session on Jan. 9, will be assisting Rep. Middleton on a variety of issues including education, criminal justice reform, law enforcement, and various matters of concern for much of the Lee College Service Area in Texas District 23/Chambers County. Diamond, a 2018 graduate in Social Science, was a two-time IPDA Varsity Debate National Champion (2016, 2018) and two time IPDA Team Division Debate National Champion (2016, 2017), as well as a two-time James Madison Cup Finalist (2016, 2017). 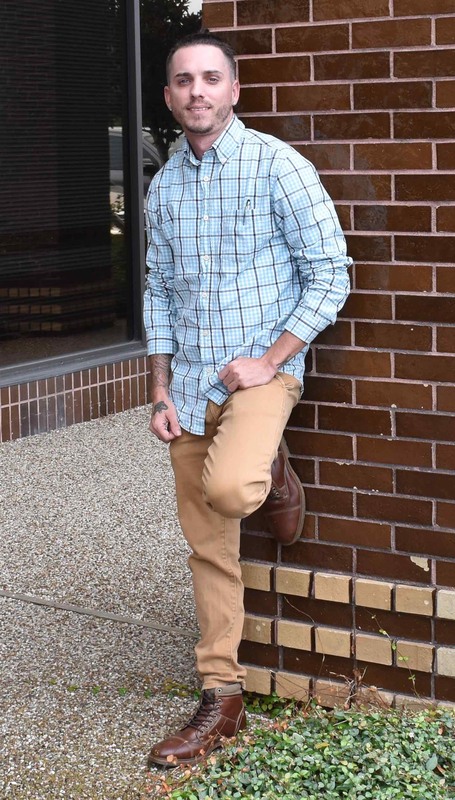 Lyrock, a Computer Science major from 2015-2017, was an IPDA Team Division Debate National Champion in 2017 and a James Madison Cup Finalist in 2017. Despite taking a partial squad of seven Debaters and one Individual Events competitor, the Mendoza Debate Society at Lee College emerged victorious at the Louisiana State University “Mardi Gras Invitational” as they brought home a dozen awards and honors including the Overall Sweepstakes Community College Championship. Hosted by LSU in Baton Rouge on Feb. 1-3, Lee College Debaters also won Third Place in the Team Debate Sweepstakes against a banner field including Duke University, Texas Southern University, host Louisiana State University, Mississippi State University, and Bossier Parish Community College. Members of the Mendoza Debate Society brought home individual championships as well, including closing out the JV Debate division with the naming of Aria Giacona and Pamela Johnson being named Junior Varsity Debate Co-Champions. Vanessa Rangel took home the Team Debate Speaking Championship, as she and teammate Ty Young finished as Team Debate Finalists. Young also finished in Fifth Place in Team Debate Speaking. Lee College Debaters brought home the lion’s share of speaking trophies, with Jaden Houseman being named Third Place in Junior Varsity Debate Speaking; Johnson also won Fourth Place in Junior Varsity Debate Speaking while Giacona finished in Fifth Place in Junior Varsity Debate Speaking. Rangel also finished as a Varsity Debate Quarterfinalist. They were joined in competition by teammates Adam Naiser, Dax Ramgoolam, and Hailegh Wingo. Prior to the New Orleans event, the Mendoza Debate Society also won 14 awards and honors at the Southern Forensics Championships at Louisiana Tech University in Ruston Jan. 25-27. Award for Lee team members included the Overall Sweepstakes Community College Championship. Lee College Debaters also finished as the Debate Sweepstakes Community College Champions against a field of over two dozen top community colleges and universities including University of North Texas, Louisiana State University, University of Central Arkansas, University of Southern Mississippi, Drury University (Missouri), Northeastern State University (Oklahoma), and Jefferson State Community College (Alabama). Lee College Debaters also found success as individuals with the pair of Vanessa Rangel and Dax Ramgoolam earned their Quarterfinalists awards in Team IPDA Debate. Ramgoolam also finished as an Octofinalist in Varsity IPDA Debate. Pamela Johnson finished in Fifth Place in Extemporaneous Speaking, Top Novice in Extemporaneous Speaking, and as an Octofinalist in Junior Varsity IPDA Debate; she also picked up a Fourth Place award in Junior Varsity IPDA Debate Speaking. Hailegh Wingo brought home a DeSemifinalist award in Extemporaneous Speaking and a Quarterfinalist award in Junior Varsity IPDA Debate. Miguel Lopez finished as a Novice IPDA Debate Octofinalist while Maddie Orozco, in her first tournament ever, won 4th Place in Novice IPDA Debate Speaking and was named a Double Octofinalist award in Novice IPDA Debate. They were joined in competition by Lacey Gulley, Julio Martinez, and Adam Naiser. Lee College Debaters will return to competition on Feb. 15-17 at the BPCC “Eddy Shell Invitational” in Bossier City. The Mendoza Debate Society is led by Director of Forensics Joe Ganakos and Assistant Debate Coach Christine Courteau. For more information about the Lee College Debate Team, please contact Director of Forensics Joe Ganakos at jganakos@lee.edu or 281.425.6502.